Social networking sites may be considered by many people as little more than a good way to while away a few hours, either at work or at home, yet increasingly they are being used by employees - and employers - to expand their careers and open up the jobs market. So can you get a social network working for you? Social networks and online communities have grown rapidly over the past five years, so much so that there is a social network to suit people of any age. Social networking sites are popular because they bring like-minded people together, at an instant. It therefore makes sense that this instant access to people is now being applied to careers. Out of all the social networking sites available (facebook, myspace, friendster among others) the clear front-runner when it comes to career enhancement is LinkedIn. LinkedIn is a professional site created for professionals, by professionals. It has been designed with the aim of its users establishing professional connections. Once registered, users are able to submit their CV and job skills, as well as their employment history. You can also state your current job and also, if you so wish, your intentions: for example whether you are actively seeking permanent or freelance work. So where does the social networking aspect come in? Users are able to import their computer’s address book and find colleagues that are already on the site, or encourage non-users to join up. LinkedIn's search tools help find people like you, former work colleagues and those who share your skills. You can also find people who might need the skills you have. The site also has a useful Q&A feature that lets you make your presence known to prospective employers by asking contacts specific career-related questions. Before you know it you can build up an impressive array of contacts and start making invaluable career connections. LinkedIn is free to use and simple to master. If you are interested in establishing a professional career or expanding your contacts book, it is an excellent place to start. The evidence suggests that LinkedIn is growing in popularity with employers, who are able to search online for professionals with mutual connections and obtain references for potential employees almost instantly. It takes the hard work out of searching for suitable candidates and provides employers with a trustworthy source of new talent. If you’d prefer to create your own social network, this is also now possible, providing that you have the time and the technical know-how. A software tool called Ning allows users to construct their own social network, allowing you to create your own miniature LinkedIn or Facebook. Social networking may be a novelty now, but it seems here to stay. People enjoy reconnecting with old acquaintances and colleagues, and enjoy update each other on where they are and they you're doing. 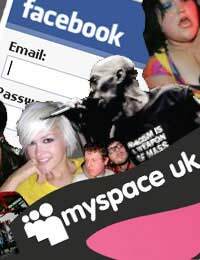 As your social network expands, you may soon discover friend that you have managed to reconnect with numerous valuable contacts you may previously have thought were lost forever.